Jim Beam, the world's number one bourbon and JW Steakhouse on London’s Park Lane, are making history. The leading American steakhouse will be the first retailer in Europe to acquire a full barrel of Jim Beam Single Barrel Bourbon. It was during a visit to The Bourbon Bar at JW Steakhouse that seventh generation Jim Beam Master Distiller Fred Noe and beverage manager Karina Elias first met and agreed to work in partnership to offer a truly unique bourbon exclusively available to the restaurant’s patrons. Karina travelled to the Jim Beam American Stillhouse in Kentucky in April to hand select a barrel under Noe’s guidance, and yesterday this historic initiative was unveiled. ﻿﻿The personalised JW Steakhouse bottles of bourbon will be on display at The Bourbon Bar alongside the chosen barrel signed by Noe himself. The restaurant’s drinks menu will feature tailor-made Jim Beam Single Barrel Bourbon cocktails and to ensure the ultimate bourbon experience, head chef Julian Ward has created bespoke food pairings. 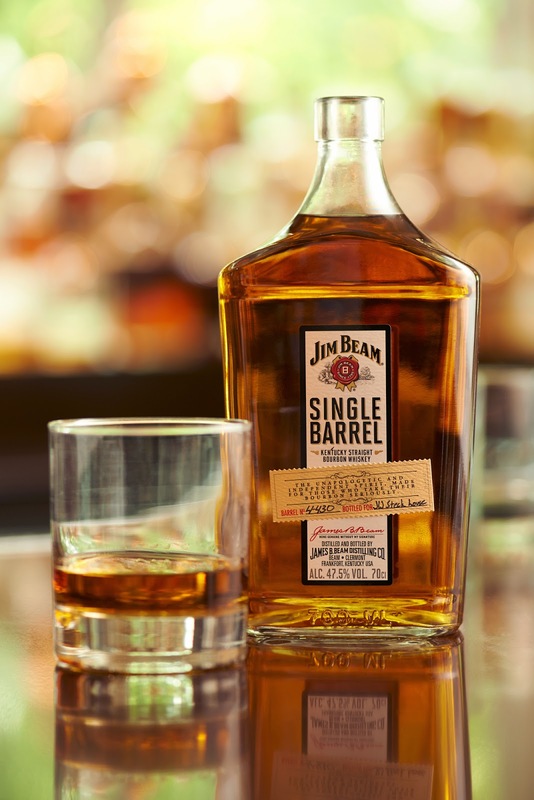 Jim Beam Single Barrel Bourbon is the first single barrel offering from the world’s No. 1 bourbon brand. This hand-crafted Kentucky Straight Bourbon is among the best liquid produced by Beam’s distillers and represents Jim Beam’s seven generations of history. At 47.5% ABV, the JW Steakhouse Exclusive Single Barrel Kentucky Straight Bourbon is a smooth, rich whiskey selected from the finest barrels of Jim Beam. Jim Beam’s global Make History campaign launched earlier this year and features new spokesperson, award-nominated actress Mila Kunis. Make History inspires consumers to make their own mark in history the same way Jim Beam has in its very own 219-year history. Throughout the year, Jim Beam will continue to mark milestones with initiatives big and small. As part of the Make History campaign, Jim Beam has been working in partnership with the trade and another initiative Shake History, was also recently launched. This competition invites top bartender teams across the UK to create a unique Jim Beam cocktail representing their bar. The teams will compete in November for the chance to take their place in Jim Beam’s history.